Who were the Reds under the bed? Why did ASIO snoop on several members of this migrant family struggling to set up a new life in Australia? ASIO maintained a vast library of files on half a million citizens, most of whom were never a threat to Australia's security. Through meticulous research, Michael Komesaroff has been able to sift through a multitude of records which were kept on his family, and discover why. 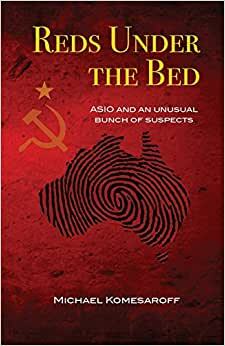 This is not only an account of one family's activities, but more broadly, a history of the widespread fear of the presence and influence of communist sympathisers in Australia in the twentieth century. Start reading Reds Under the Bed: ASIO and an Unusual Bunch of Suspects on your Kindle in under a minute.